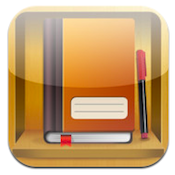 Simply Write iPad App Review: Simply the Best! 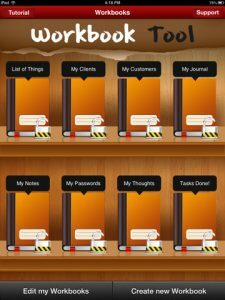 Simply Write is an iPad app developed by Ziggytech. 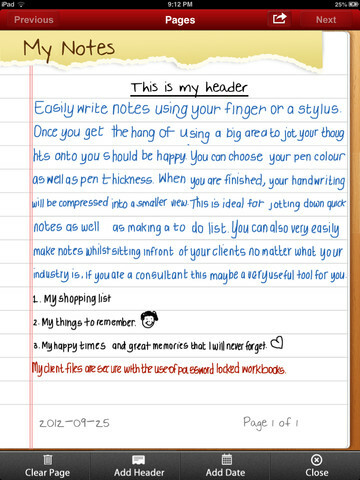 Available only on the iPad for now, Simply Write helps users to write notes while on the go. While there are tons of note taking apps out there, Simply Write is a great choice for iPad users who just want a simple, stripped down interface that is as much like writing in a paper notebook as possible. Controls are superbly intuitive, and the user interface is free of clutter and buttons. But just because Simply Write is a simple, stripped down iPad app doesn’t mean that it isn’t a robust tool to have in your arsenal. Simply Write also includes easy header formatting, date stamping tools, and a unique line-by-line magnification feature to ensure that what you write is displayed at an easy to read size. Additionally, your virtual notebooks can be password protected, ensuring your private notes stay private! At its core, Simply Write is a great note taking tool for students and professionals alike. However, one core group of users that can also really benefit from this solid writing app are young children. 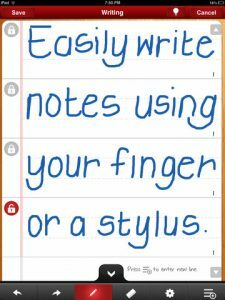 Kids from pre-K to 3rd grade can use Simply Write to help them practice their penmanship or cursive talents. 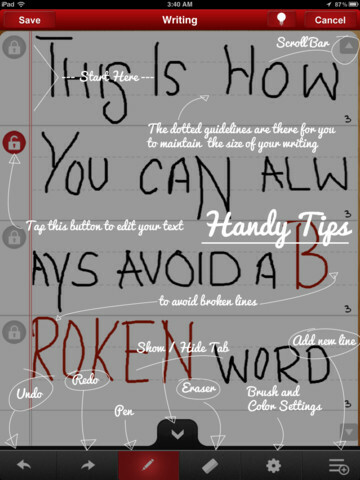 There is even a setting that’s perfect for clumsy young hands, and features a practice writing grid that’s eerily similar to the D’nealian handwriting books I remember from grade school. 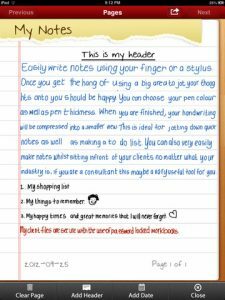 Whether you prefer to take notes with a stylus or your own fingertip, Simply Write is a brilliant iPad app for anyone who needs to make a lot of notes or write in longhand. Thanks to a wonderfully responsive writing surface, Simply Write is pretty hard to beat… and so is the price! Simply Writeis compatible with iPad. Requires iOS 4.3 or later.